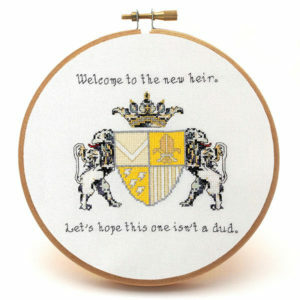 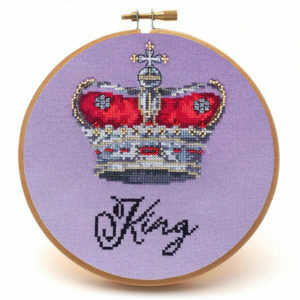 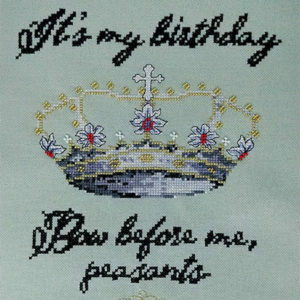 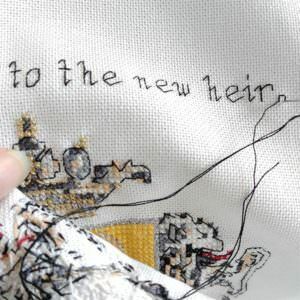 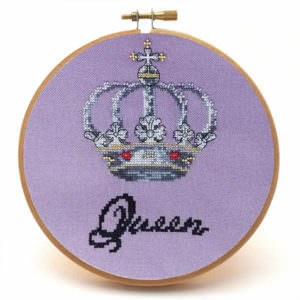 View cart “Bow Before Me Cross Stitch Pattern” has been added to your cart. 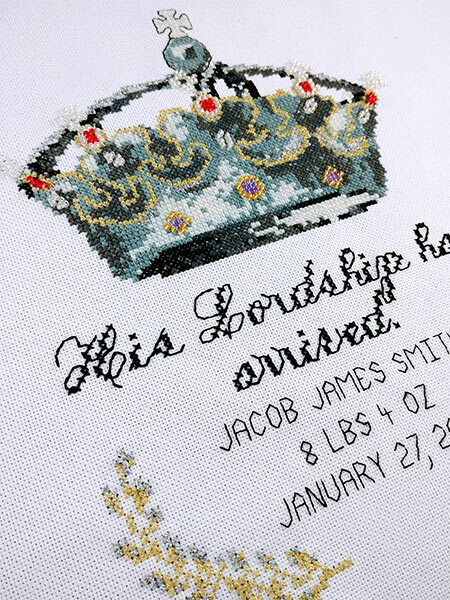 Celebrate the joy of a beautiful newborn with this exquisite baby girl cross stitch pattern! 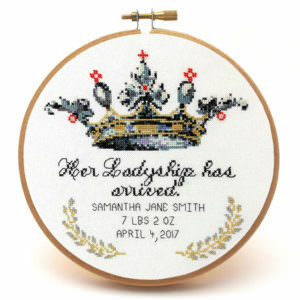 Her Ladyship includes an alphabet chart and full instructions to customize the details, making it a perfect baby girl gift. 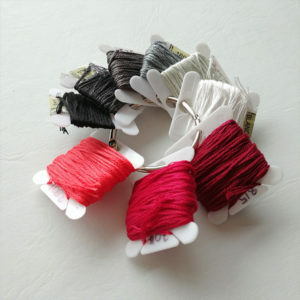 Three bead colours and two metallic flosses add an ethereal shimmer to catch the light from any angle. 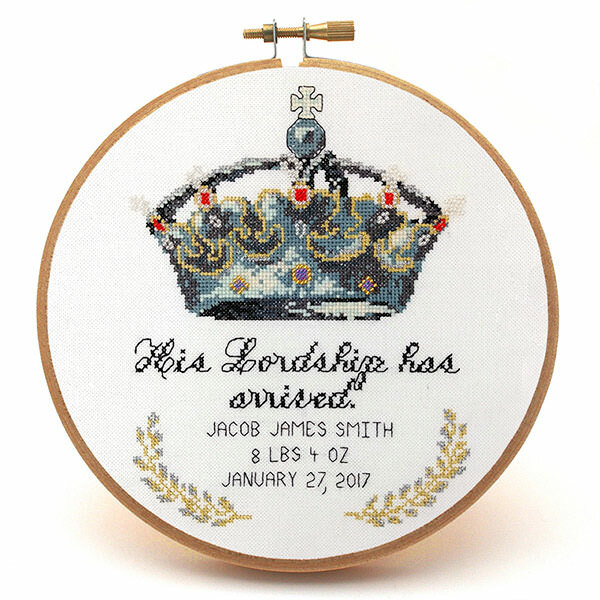 The dainty vintage-inspired crown showcases a timeless design the family can cherish for years to come. 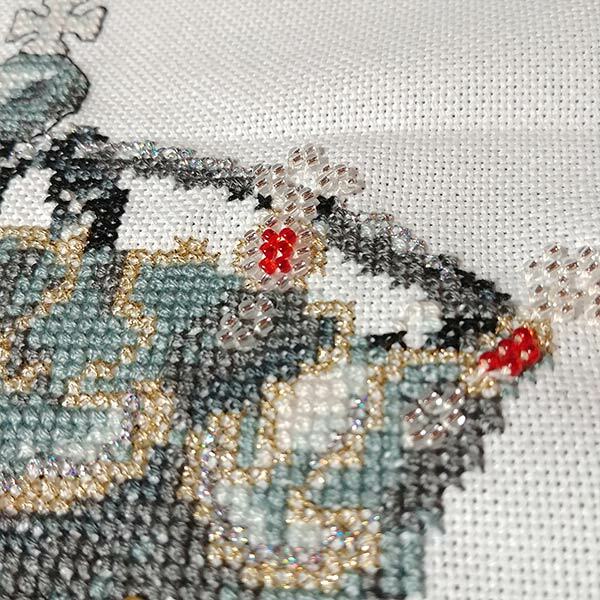 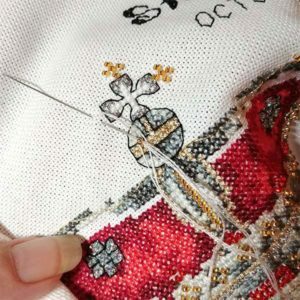 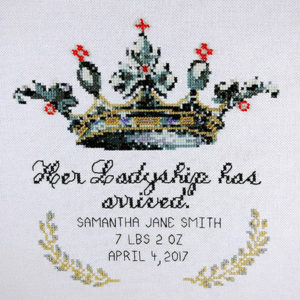 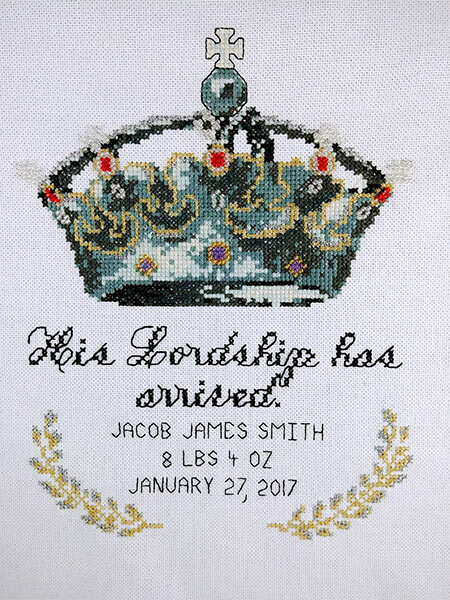 Add a touch of delicate glamour to the nursery with the Her Ladyship cross stitch pattern. 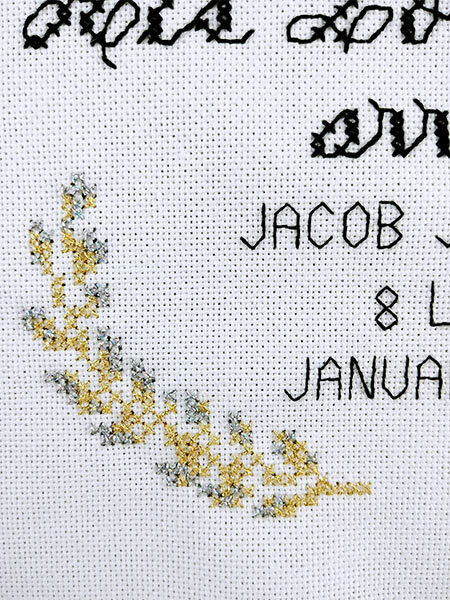 If you’ve ever wondered what to take to a bridal shower, then maybe this sassy marriage cross stitch pattern will be just what you’re looking for! 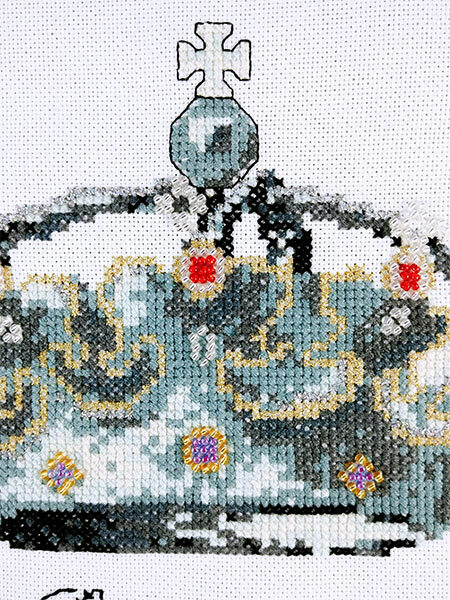 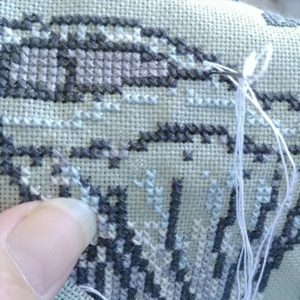 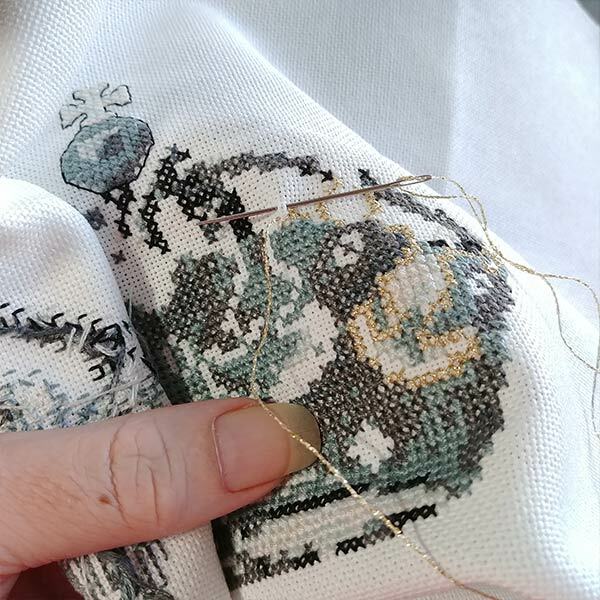 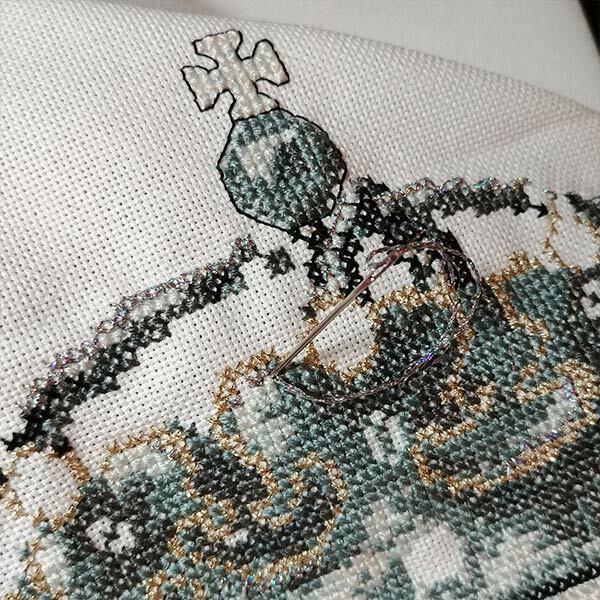 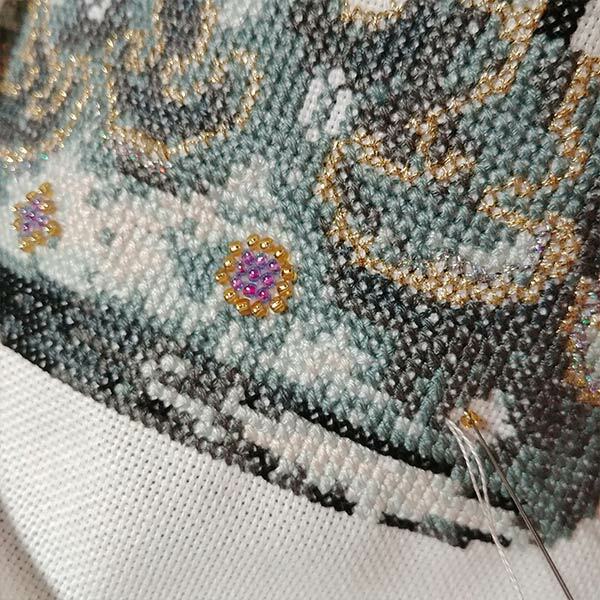 The Wedding Nights cross stitch pattern features beautiful soft tones of greys, white and baby blue. 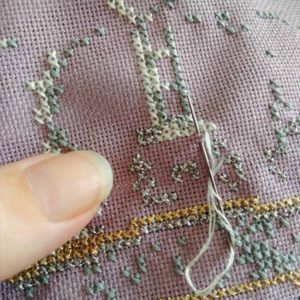 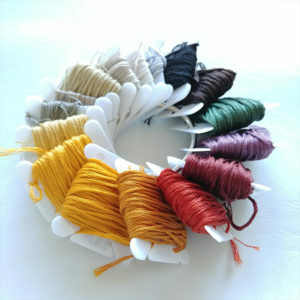 These pretty tones complement any decor, and the delicate white beading adds a lovely texture to the corset. 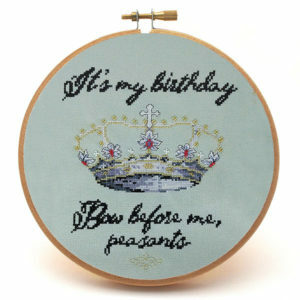 This pattern features an elegantly sassy phrase, which is guaranteed to generate a laugh. 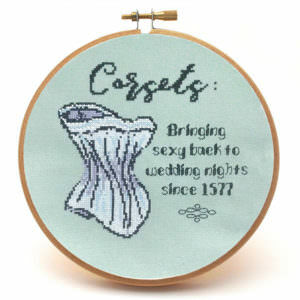 1577 is one date recorded for corsets starting to be worn as common practice, and they were a feature of extravagant Tudor-era garments. 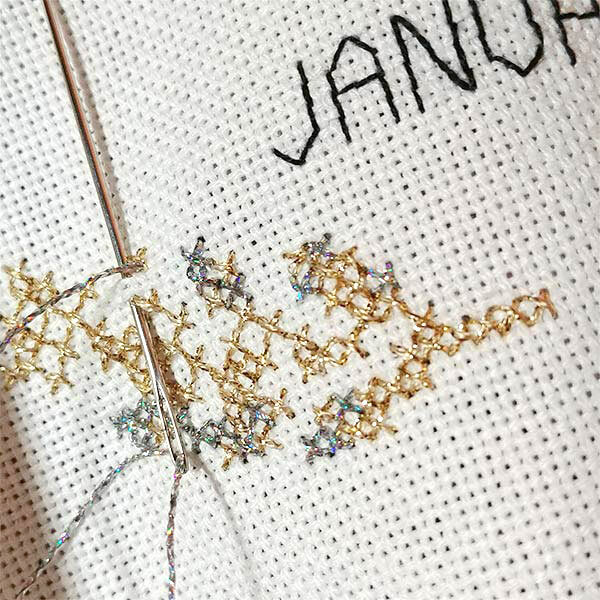 This dainty pattern makes a unique bridal shower or wedding gift, and is perfect for the bride who has everything or is difficult to shop for. 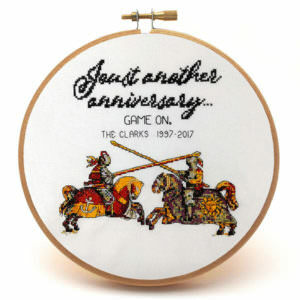 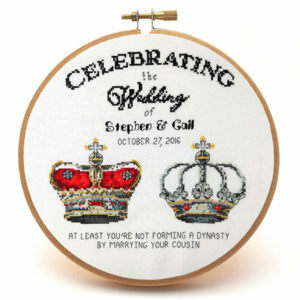 Add a little elegant sass to your decor or next gift with the Wedding Nights cross stitch pattern.